He is the man behind A Very Tight Place Dollar Baby Film. SKSM: Could you start with telling me a bit about yourself? Who are you and what do you do? Kyle Thompson: Hi, I’m Kyle, I’m predominantly a screenwriter although I’ve made a few short films myself in the past, but at the moment I’m taking a bit of a break as I have a son now, so I’m staying at home looking after him for now. A few years ago I got together with my brother and a few friends to create A Very Tight Place. SKSM: When did you make A very tight place? Can you tell me a little about the production? How much did it cost? How long did it take to film it? Kyle Thompson: It was actually a project for University, because I studied screenwriting combined with Film Production, one of the classes was called Adaptations. Before the project started some of the graduates came in and told us about their own project, which was The Boogeyman. That’s how we found out about the Dollar Baby Scheme. We didn’t have to use the project (we could adapt anything we wanted) but we thought it was an interesting opportunity to actually purchase the rights to something and it be legitimate. We read the story, contacted Stephen’s offices and sent off the dollar. SKSM: How come you picked A very tight place to develop into a movie? SKSM: What is it in the story that you like so much? Kyle Thompson: Coincidentally, that was really our main deciding factor in choosing AVTP… getting to cover out actor in fake poo! SKSM: Did you have any personal contact with King during the making of the movie? Has he seen it (and if so, what did he think about it)? Kyle Thompson: We didn’t have any direct contact form the man himself, but maybe now he’ll get to see the film. SKSM: What “good or bad” reviews have you received on your film? Kyle Thompson: We haven’t really had any reviews on our film yet, because it’s been set to private for a few reasons (work getting marked, the copyright etc) but it’s up for the public to see now, so you can all et me know what you think. It’s not everything we had hoped it to be, but it’s still our dollar baby. SKSM: What are you working nowadays? Kyle Thompson: These days are spent changing nappies, feeding and making sure my 18 month old doesn’t destroy my house! I do have a couple of scripts I wrote that one day I wish to turn into short films. SKSM: Do you have any plans for making more movies based on Stephen King’s stories? If you could pick -at least- one stroy to shoot, which one would it be and why? Kyle Thompson: If I was to do another King adaptation, I’d love to do Cujo. I think there is something terrifying about something as loyal as a dog, man’s best friend, going feral and mauling people. SKSM: Thanks for taking the time to answer my questions. Is there anything you want to say to your fans? 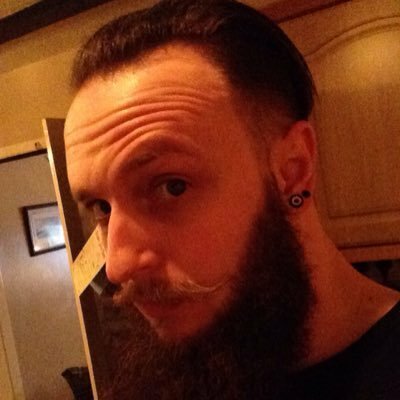 Kyle Thompson: Thanks for taking an interest in my film and for taking the time to get to know a bit about me and a look what went on behind the making of the film. SKSM: Would you like to add something? Kyle Thompson: If you want to follow me on Twitter, you can find me @The_Strangerer and Instagram is just Strangerer.